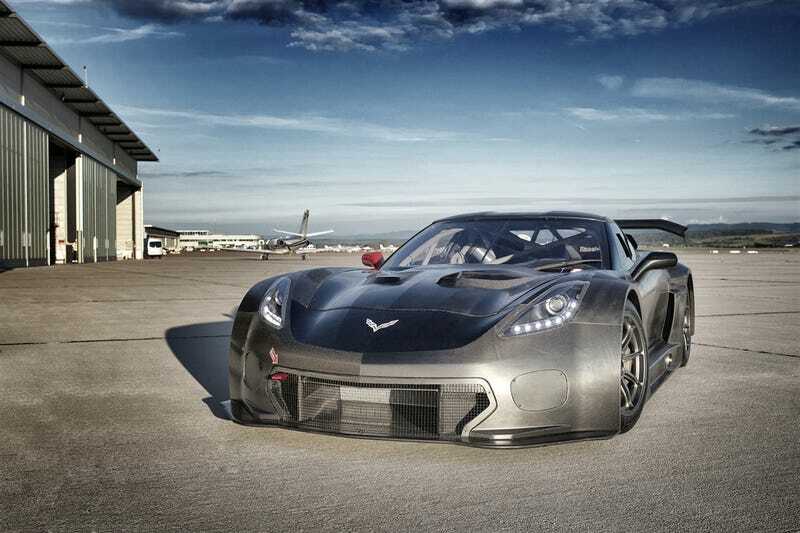 Callaway, the famed Corvette tuning company, has revealed their 2016 spec GT3 car, the Corvette C7 GT3-R, which will replace their successful C6 based Callaway Z06.R GT3. Featuring a 600 horsepower 6.2L V8 and a six speed X-Trac sequential gearbox, the car’s first drive in anger is likely to take place in the 2016 ADAC GT Masters series. The car was unveiled on October 3, 2015 at the Hockenheimring. Note the escape hatch on the roof, now required by the 2016 GT regulations on all new GT3 and GTE (GTLM) cars. I think this thing looks badass. Hope it ends up competing at the N24 or Spa 24.